In 2015 we had more entries than ever before, the standards were very high and competition was fierce! 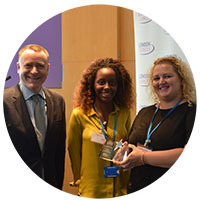 Apprentice of the Year - Sidonie Smith a Domestic Violence Support Officer at the London borough of Bexley. Sidonie completed her first apprenticeship with the Crisis Intervention team. On completion of this apprenticeship she has been offered a position as a trainee Domestic Violence Support Officer. The council has found these roles hard to fill due to the dedication and passion required. Sidonie has continuously demonstrated her dedication and potential whilst working with victims of high risk domestic violence; she has helped prevent a homicide and now has a case load of 15 clients. Sidonie is a great ambassador for the apprenticeship scheme. She always volunteers for extra activities such as talking at the apprenticeship event and is a great mentor and support to new apprentices. The judges chose this entry because of the level of competence with which an extremely challenging role was being delivered. The judges were particularly impressed with Sidonie's speed of progression, and her drive and determination. Best contribution by a new apprentice - John Cummins an apprentice in the Housing Support Team at the Royal borough of Greenwich. John’s role is to support residents in need. 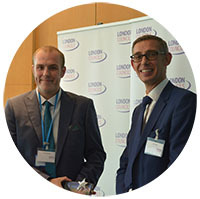 John very quickly developed enough skills and knowledge about the client group and the service to enable him to progress onto assessing the support needs and risks of vulnerable clients and managing the caseload effectively. He has achieved positive outcomes for his clients, showing commitment to performing to his best and to the service’s performance targets. 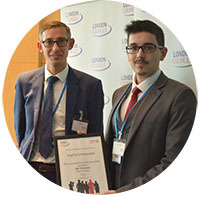 Quite early in his apprenticeship John became involved in a complex case in which an elderly resident was unable to return to his home due to a number of issues. John provided the careful management and wraparound support needed to ensure that the gentleman was able to safely return to his home, this required him to engage, and earn the trust of the resident and his family as well as extensive liaison with contractors and partners to get the job done. Furthermore, John has contributed to ambassadorial duties by attending a local school to promote apprenticeships. The judging panel chose John because of his excellent customer service skills and desire to go above and beyond his job role to support local residents. The judges were particularly impressed with the level of professionalism shown for a Level 2 apprentice. 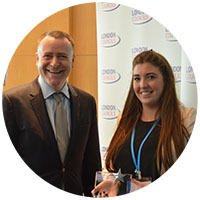 Best progression by an apprentice - Erika Grudinskyte a Support and Facilitations Manager at the London borough of Southwark. Erika’s first apprenticeship was in customer Services. Managers were so impressed with her performance she was awarded Regional Employee of the Month. On completion Erika secured a job as a Revenues Income Collections Officer. Within six months Erika showed exceptional leadership skills. She was given extra responsibility to manage the borough wide Garage Portfolio duties on top of her current role, highlighting the trust her managers had in her abilities. Erika then secured the role of Support and Facilitations Manager and now manages her own team of eight. To give back Erika continues to champion the scheme and presents her success story at new apprentice inductions, attends careers fairs and schools to promote apprenticeships. The judges picked this winner because their exceptional leadership skills and excellent work in promoting apprenticeships to others. 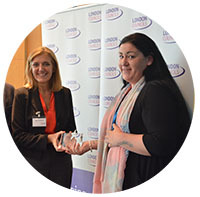 Best manager or mentor - Claire Tugwell from the Royal borough of Greenwich. Greenwich decided to recruit apprentices who had used the homelessness services, were care leavers or long term unemployed. These apprentices have frequently needed help and support to come to work as well as with aspects of their lives outside the workplace. Claire voluntarily took the lead in managing the apprenticeship scheme, in addition to her job managing 6 staff in members in the Welfare Reform Team. She organised comprehensive training and induction and recruited staff to be individual mentors to apprentices. Claire has also dealt with disciplinary problems, issuing warnings whilst also providing support - demonstrating her determination to help the apprentice to succeed. One of the apprentices who nominated her said “Claire is a wonderful apprentice manager and mentor. There was a time when I was facing difficulties and didn’t see a point to continuing my placement. She was able to help me and encouraged me to go forward and I am grateful that she did because if she hadn’t I wouldn’t be where I am now”. This year’s winner has been selected because of the intensity of support offered to what is a difficult cohort of apprentices. The judges felt that Claire offered both a nurturing and challenging management style which ultimately has had success in bringing out the best in the apprentices she managed. 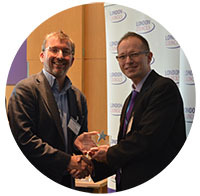 Best work with supply chains and small businesses - The London borough of Camden. Over the last year Camden has negotiated with 51 different contractors to create 139 apprenticeships. The borough has also supported 46 local employers to create 58 apprenticeships via their local recruitment service. Alongside their dedicated construction skills training facility for local residents, the borough has also developed a partnership with the Knowledge Quarter, a partnership of science and technology employers around King’s Cross, to put together a programme of apprenticeships in STEM subjects from intermediate up to degree level. Camden has also undertaken work to broaden the scope of their apprenticeship offer by introducing an adult apprenticeships pilot. Aimed at parents over 25 years old, this was a scheme to provide an attractive return to work for parents. The judges selected this year’s winners based on the broad range of sectors the borough worked with. They were also impressed with the variety of new contractors worked with this year and the support offered to ensure that local residents with additional barriers to work were able to access these opportunities.